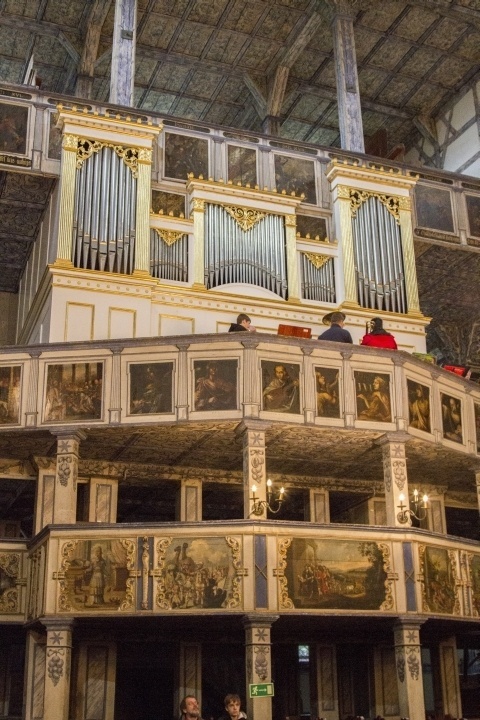 Krakow’s Top Five in Two Days or Less? Have you been to Krakow? Wouldn’t you love to take a weekend in Krakow? Start planning! Our location in Germany lets us travel to some pretty cool places during long weekends or one of our extended vacation times; but sometimes we like to just get away for a weekend to meet up with friends or family as they travel through our neck of the woods. This was the case when some of my family was meeting up for a fun-filled weekend in Krakow. We booked a flight out of Nuremberg that left right after work and arrived late in Krakow on a Friday night. It didn’t take much research to realize Krakow has more than a weekend’s worth of sights and experiences, but we were determined to mix family time with travel time. 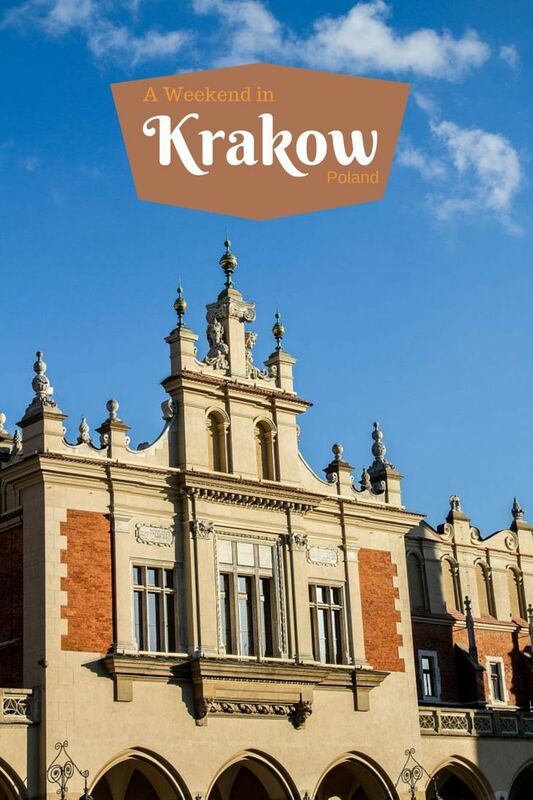 Planning to spend a couple of days in Krakow? Pin these to help you plan! On a short trip, location is everything. Often times, we like to be on the edge of the city but connected to public transportation where prices are a little lower and you can experience the feel of a neighborhood and get away from the tourists. But when we’re on a tight schedule like this weekend, being right in the heart of things is essential. Our hotel was a historic sight in its own right, with an archaeological museum displaying artifacts unearthed during the hotel’s construction. It was wonderfully comfortable and only two blocks off the main market square; the entire old town was at our doorstep. Take a ride in a romantic horse-drawn cart through the center of the Old Town on your amazing weekend in Krakow. 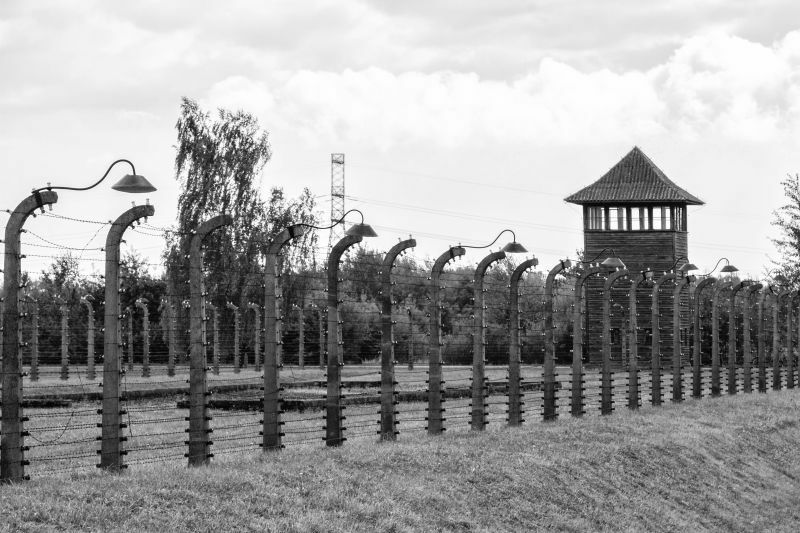 A visit to these concentration camps outside of the city is at the top of most Krakow lists. It offers a somber and chilling glimpse into a part of history that should not be forgotten. Trips can be arranged by most hotels or through a travel agent off the main square. If time is available, I recommend pre-booking a tour on line. You can visit the sites on your own but this is one place a tour comes in handy as it can get very crowded and difficult to navigate the ticketing process. Also, if you’re on a tight schedule, this will allow extra time after your visit to take in another site. A somber but vital thing to see in Krakow is the Auschwitz Concentration Camp. Whether you believe the old legends about a dragon living in a cave below Wawel hill or not, no one can argue that the Castle and Cathedral at the top of Wawel hill aren’t the main attractions of the city. You can visit the cathedral for free but a visit to the Castle will require a paid ticket. Both are well worth the time and cost if you have both, but this is also a great place to just wander around. You can visit the gardens and courtyards, stroll around the castle grounds, or just sit and relax on the castle walls looking out over the river and city, all without paying admission. Most of the gardens and courtyards are free to wander around at Wawel Castle. As soon as we found out we were going to be in Oskar Schindler’s hometown, where the famous life-saving factory existed, we were keen to visit. If you haven’t watched the movie “Schindler’s List,” do it soon. It’s a classic. As we arrived, the factory sports this photo gallery of the people whose lives were saved, which just makes you want to enter that much more quickly so that you can get the whole story. And the whole story is exactly what you get. The exhibits really describe what living in Krakow during World War II was like, from beginning to end. 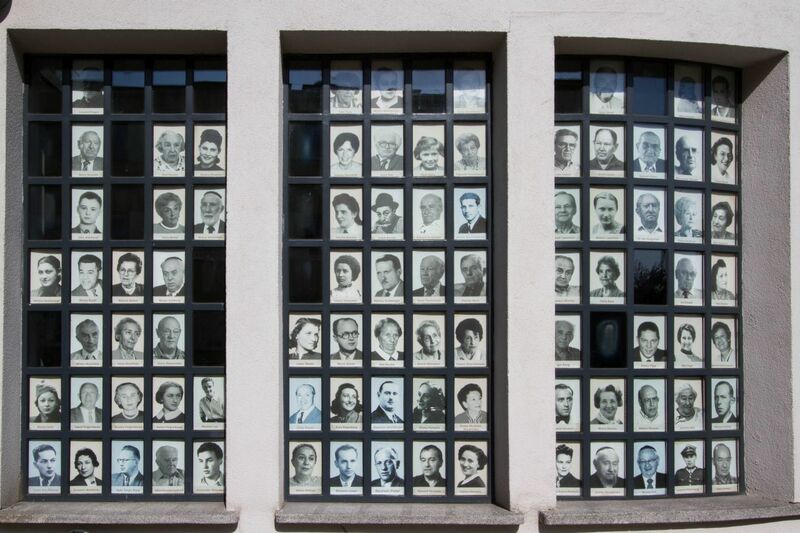 In fact, the story of Oskar Schindler and his proteges was smaller, and took less time than I had anticipated, but overall I felt this is one of those museums that everyone should visit. 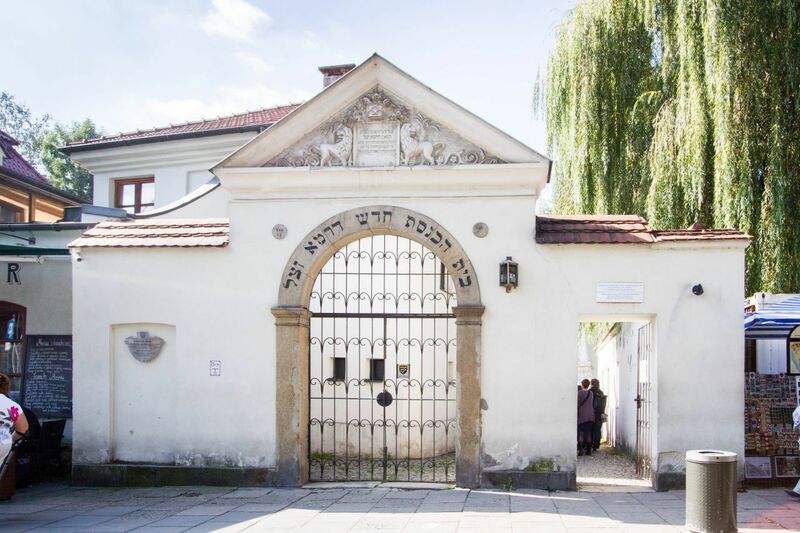 A Krakow weekend where you want to learn a little World War II history, will definitely include the Oskar Schindler Museum. 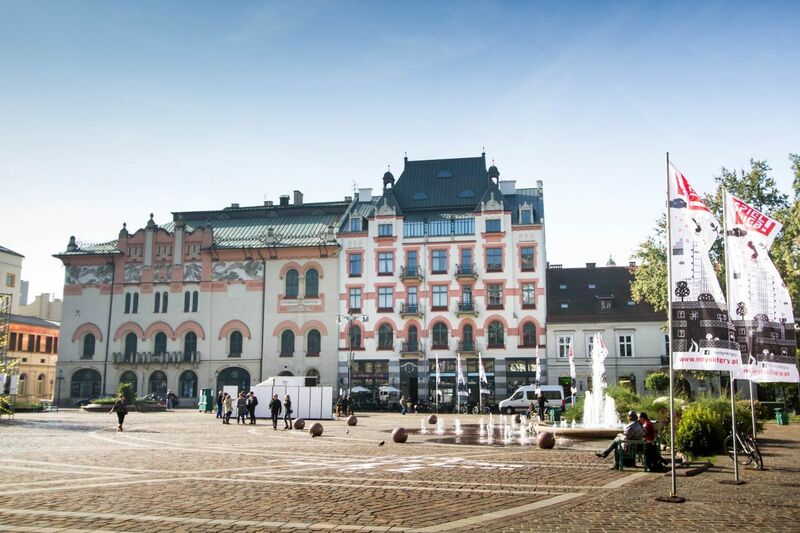 Start with a walk around Market Square, or Rynek Główny, and take in the splendor of this 13th century plaza, the largest medieval town square in Europe. 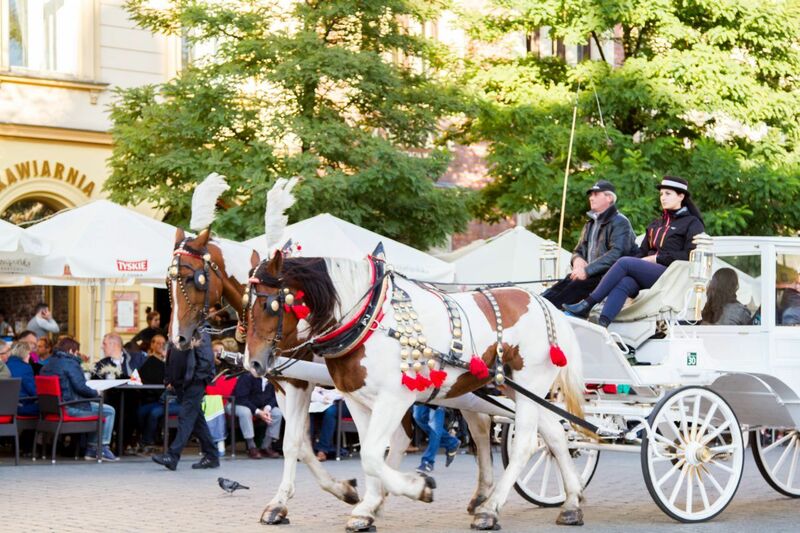 If you plan it right, or are lucky, you’ll be treated to an outdoor market with traditional folk music, food and drink, and shopping–this was a truly festive locale during September. If you go in late November and December you’ll find a Christmas market with few rivals in all of Europe. After exploring the market, the Cloth Hall, and the old Town Hall head south on Grodzka street towards Wawel hill then continue wandering and losing yourself among the roads and alleys of Old Town Krakow. As you explore, be sure to keep an eye out for the different sculptures worked into the medieval facades. In olden times, buildings were known by the animals adorning the street front of the homes of the rich and famous. One of the most fun things to do in Krakow is wander around the old town market square, called Rynek. There’s plenty of cafes and people watching! A new trend we’ve been seeing in tourist destination cities around the world is electric golf cart tours. These provide a cleaner, greener, more personalized tour option then the traditional minivan or bus. Happily, Krakow has embraced the concept full force. For a few zlotys you and your partner(s) can book an electric cart to zip you around to the main sights of the city all while sitting comfortably snugged up in a cozy blanket. The accompanying audio guide plays softly over the speaker in whichever language your group is most comfortable with. While this could be cold and impersonal, the guides/drivers of the cart are what really make it. While choosing a driver be sure to looking for someone who is friendly and personable and reasonably fluent in your language. You’ll find that if they can communicate, and you are open to a conversation, they will pour their life story out and give you an insight into the city that is not heard on the audio guide. Krakow hosts plenty of great restaurants where you can get everything from local food to pizza and hamburgers, but of course no one can go without trying pierogies. We must have had a couple hundred while we were there; we just couldn’t get enough. We tried them boiled, baked, and fried. We tried large ones, small ones, ones covered in cheese. We loved them all. I haven’t been to Krakow yet but I’m impressed with how much you managed to fit in and I love the idea of golf cart tours! Suze, We loved the golf carts as well, a little wind blowing, a great guide…fun! 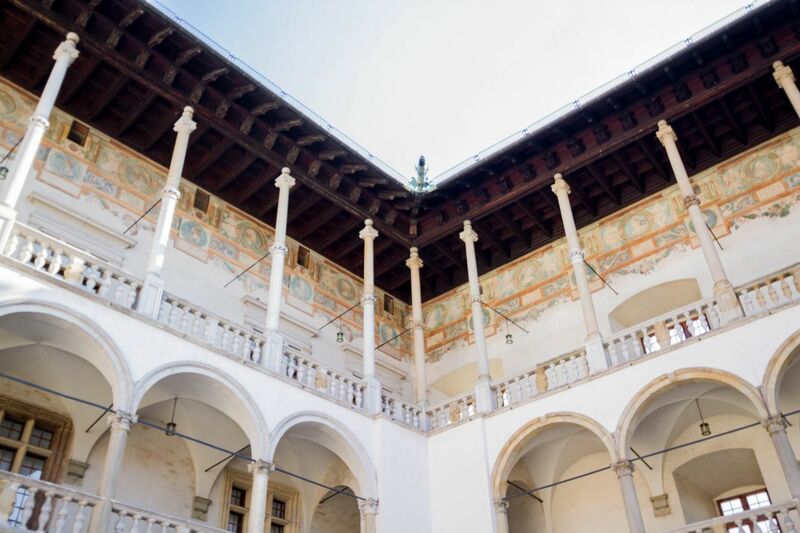 Thanks for sharing this informative post about Krakow.It is helpful for anyone who plans a trip there.Nice pictures and I’d love to see the Wawel Castle if I visit there one day!Seems like an interesting castle to see. Amila, Krakow is an amazingly gorgeous city with lots to offer. I do hope you make it there one day. We talked about going to Krakow, but made different choices in the end. Looks like you hit the highlights, and it was an interesting and an emotional visit. Rhonda, We only scratched the surface and are looking forward to a return trip! You keep making my list get longer and longer Corinne. Such an interesting city. Paula, Someone has to keep you on your toes! Great insights of a city that’s high on my to visit list! Thanks for sharing! Maaike, We have so much more to do in Krakow. I’m hoping to get back to Poland this summer…we’ll see! Thanks for stopping by! Nice that you can go to such cool places on a long weekend! I like all your recommendations. First time I hear about the golf cart tours. I have done some “tours” in tuk-tuks but I think a golf cart would be a better experience for many reasons (comfort, safety, etc.). Ruth, I’ve done the tuk tuk as well, and yes, the golf cart definitely has more room! Tuk-tuks are fun and a little crazy sometimes (think New Delhi), but the golf carts are super quiet! I’ve still got to get to this city! It’s so high on my list now! Great photos! Thanks Becky, Yes, and we still have tons of cities in Poland to get to as well! You sure know how to make me jealous of your options for a long weekend. Due to proximity we struggle to even get out of the state for a long weekend here. I must admit we are toying with the idea of including Krakow in our trip to Europe at the end of the year and you just might have helped tip the scales. Thank you for linking up with #TheWeeklyPostcard when you have a moment can you please update to the latest badge to include our new co-host? I look forward to you linking up again next week. Thanks Lyn, Happy planning on your upcoming Europe trip! Thank you Corinne, the planning is almost as much fun as the trip. Lyn, I agree. Planning is one of the best parts! The list continues to grow! Where in the world will we ever find the time to visit every place. Thanks for sharing your experiences in Krakow. Arnie, I know. I know. I have exactly the same problem! Wawel Castle and a tour of the old town sound more appealing than a tour of the concentration camps. This chilling reminder of the horrors of the Holocaust always makes me very sad. Anda, I agree. I love visiting positive places more than depressing ones, however I think that Auschwitz does a fine job of telling the story. We never have been to Poland but we’ve heard great things about Krakow, and now have a Top 5 to go by! Thanks for that, and for sharing your visit. Rob, I hope you make it there. We were pleasantly surprised; it was a wonderful city. An amazingly important city for its place in history. Thanks for a great review of the tops things to do. I am fascinated by WWII history, and Krakow owns a unique spot for its importance that cannot be underestimated. 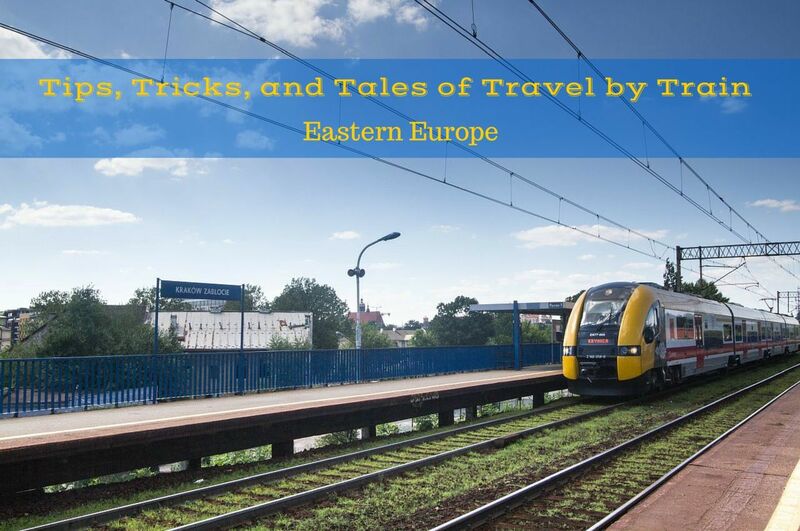 We have not been to Poland yet, but am happy to have your tips — especially for picking a tour guide with a friendly smile and fluent in English. Cheers! Thanks JR! You’re right, Krakow has an incredible history for the development of Poland and World War II. Nancie, I know. Today is our last day of school…hooray! You would love Krakow! Thanks Adam. I’ve never heard of Bubbles, but we many go next time around. I’m just finishing my visit to Cracov. Place is incredible. We hired this guy with golf buggie he shown us the city (we got really good offer). We didn’t realize how much to see is there. We went for two hours nonstop having to see one place after another. That is a great way to get around and see the sites. Most of the electric buggy operators are fair and knowledgeable and will negotiate on the price.